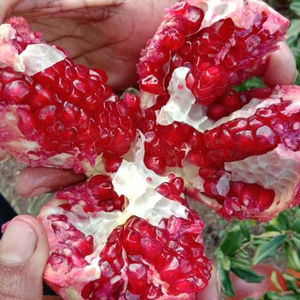 DeccanProduce is one of the foremost exporters and suppliers of Fresh Grapes, Pomegranates, Mangoes and Fruit Pulps and Agri commodities from India. We envision a high growth phase in the coming years having established ourselves as a prominent exporter in the fresh produce sector. The company actively interacts and contributes to the Indian discourse on the food sector by contributing to trade and government bodies. Shipping: Container takes: 18 tons Number of pallets in container 20 pallets. Quality Certificates: FDA (US Food & Drugs Association) global standard quality certificate, SGS Quality Certificate Members. 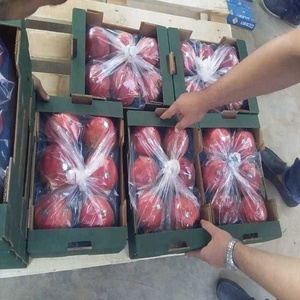 Delivery terms: FOB, CNF, CIF Delivery time: 7 days from date of receive the payment Payment Terms: T.
Qingdao Dazun Industry Co., Ltd.
Pallets per container: 20 Pallets Cartons per container: 3400 cartons Cartons per pallet: 170 Cartons Pallets gross Weight: 850 KG Maturity indices The red color in juice equal or darker of color 12/5-rs according to the color list munsell- ph is less than 1.85% Quality indices. The color of skin fruit is red Flavor depends on the ratio of sugar to acidity and it differ according to the types preferable, the proportion of tads is higher than 17% Optimum temperature. 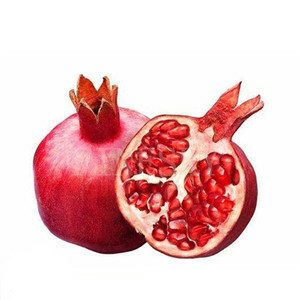 incase of storing for more time, it store on 7.2 to avoid damage cooling Optimum relative humidity, 90-95% as pomegranate is hypersensitive to lose water which lead to damage fruit skin and we can reduce losing water by storing fruits in package lined with poly ethylene. 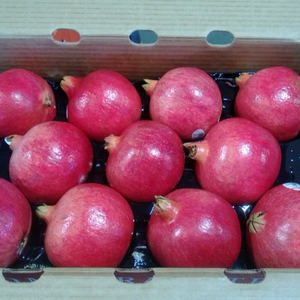 South African Fresh Red Sweet Pomegranates..
&bull; Lowers cholesterol and other cardiac risk factors. &bull; Shown to promote reversal of atherosclerotic plaque in human studies. &bull; Shown to promote reversal of atherosclerotic plaque in human studies. 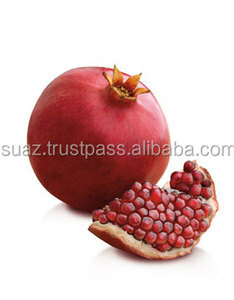 Alibaba.com offers 3,540 red pomegranate products. About 35% of these are fresh pomegranates, 5% are fruit & vegetable juice, and 3% are herbal extract. 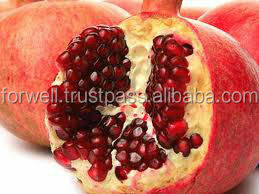 A wide variety of red pomegranate options are available to you, such as free samples, paid samples. 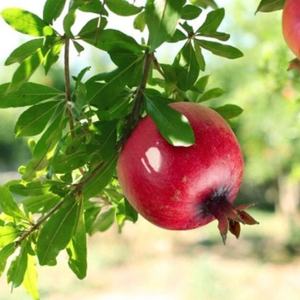 There are 3,149 red pomegranate suppliers, mainly located in Asia. 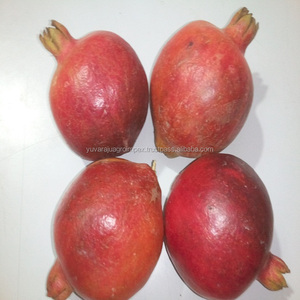 The top supplying countries are China (Mainland), Egypt, and India, which supply 52%, 24%, and 8% of red pomegranate respectively. 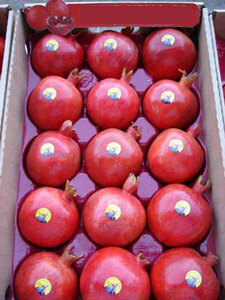 Red pomegranate products are most popular in North America, Northern Europe, and Western Europe. You can ensure product safety by selecting from certified suppliers, including 609 with Other, 423 with ISO9001, and 171 with GMP certification.